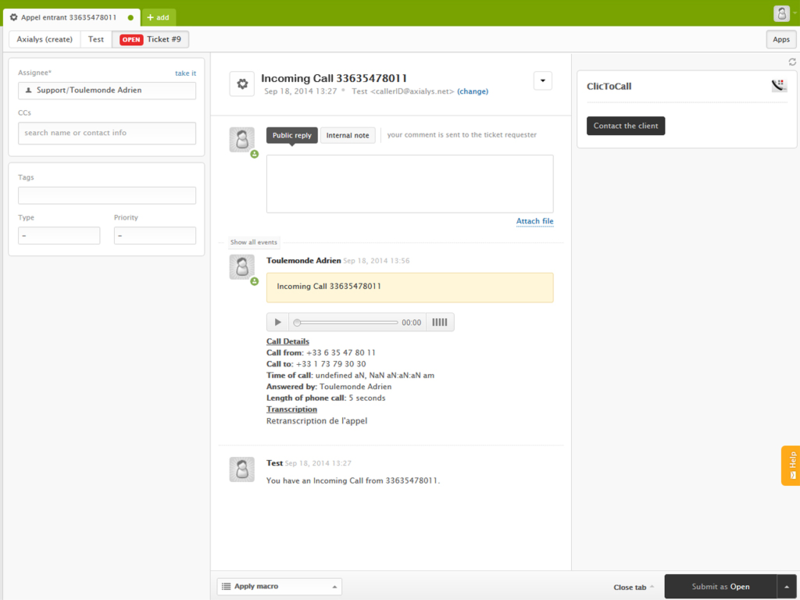 SIMPLE YET POWERFUL FEATURES Don't let your phone system sit apart from your Zendesk solution! Axialys Voice Management solution is available worldwide, and can work with your existing phone system or with Axialys enterprise Centrex solution. 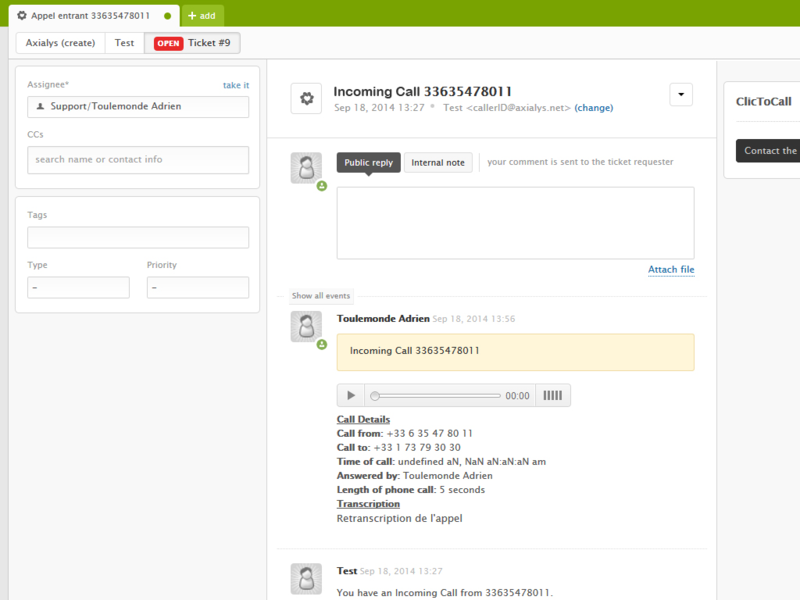 To use the Voice Management Zendesk app, you must be subscribed to Axialys service. How To install the Voice Management app ? * Sign in to your Zendesk account, then click the Admin icon in the sidebar * Select Apps > Marketplace, then find the Voice Management app and click the title * On the Voice Management app page, click Install app on the upper-right corner * Configure the app settings (there is no specific configuration), then click Install. Please visit our website contact us for more information.